Megan Rhiannon did an excellent video showing how she uses her A6 size Rhodiarama notebook as her bullet journal. Megan is an autistic university student who has issues with memory, sleep, and eating and uses her bullet journal to help her manage and track all aspects of her life. She shows us her sleep and eating trackers, her reading lists, her daily pages, her future log, and more. She says her doctor appreciates her sleep and eating trackers very much. Then she did another video later on her new bullet journal, in another A6 Rhodiarama notebook because she enjoyed her first one so much. In this video she shows what she transferred from her first bullet journal to her new one. I love watching Megan’s videos because they are so soothing to watch and she has wonderful bullet journal pages. She keeps track of so much in her little notebook! 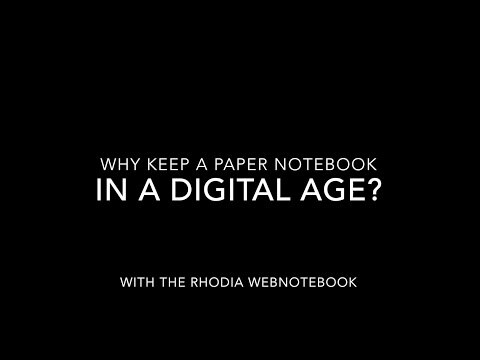 The notebook Megan shows in her videos is the A6 size Rhodiarama softcover notebook with dot grid pages.